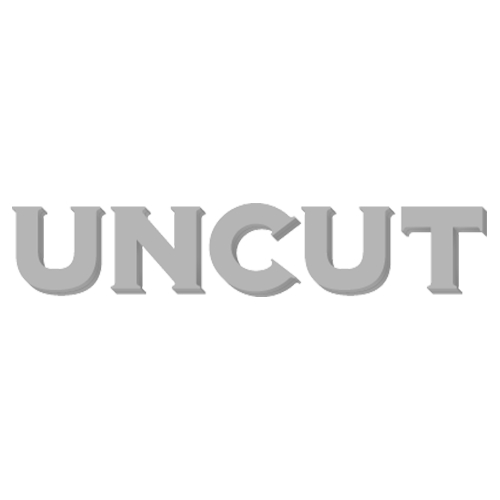 You’ll hopefully have spotted Uncut’s Films Of The Year in our current issue. High up the Top 10 is the brilliant Berberian Sound Studio, director Peter Strickland’s spin on low-rent 70s Italian horror movies and a tribute to the Heath Robinson-style endeavours of foley artists and sound designers of a certain generation. Ahead of the film's imminent release of the film on DVD – and Broadcast’s score in the New Year – I caught up with Peter Strickland to chat about the film and his influences. You’ll hopefully have spotted Uncut’s Films Of The Year in our current issue. High up the Top 10 is the brilliant Berberian Sound Studio, director Peter Strickland’s spin on low-rent 70s Italian horror movies and a tribute to the Heath Robinson-style endeavours of foley artists and sound designers of a certain generation. Ahead of the film’s imminent release of the film on DVD – and Broadcast’s score in the New Year – I caught up with Peter Strickland to chat about the film and his influences. UNCUT: Before you started out in film, you were involved in an outfit called the Sonic Catering Band, using food to make music. Can you explain a little about who they were and what they did? PETER STRICKLAND: We started off in 1996. Initially, it was just two of us. It was the brother of a friend of mine from school, Colin Fletcher, and we just wanted to make an accessible entry point into musique concrete, by still making difficult music but making it very accessible concept around it, something that everyone can relate to. It was basic surrealist thing of turning the ordinary into the extraordinary. By the act of recording something, you are turning it onto something extraordinary. And what I quite liked about it was the idea of formula, why don’t we follow scores, why don’t we follow recipes. It was an analogy really, in terms of how you take raw sound and raw food and you multi-track them, mixing them together, processing them and so on. And we had very mixed results. A lot of it is terrible, but usually what we found was the better the food was the worst the recording was and vice versa. But initially we were completely in awe of all these effects we could get our hands on. One of the effects used, the Watkins Coffee cups, is in Berberian. We were always using that. But in the end, we thought, are we showcasing the sound or just showcasing the technology? It’s something you have to address when you’re making a film or music. We rethought things around 2000, we just dropped any sense of melody or rhythm, and we got into people like Alvin Lucier and Robert Ashley, who just let sounds exist in their own realm. One of the most important things to me was “I Am Sitting In A Room” by Alvin Lucier, where he just re-records his voice and re-records the re-recording, and it makes you aware of physical acoustics. It’s really powerful, and really simple. We just did some gigs for the John Cage centenary. The guy who played Massimo in Berberian [Jozef Cseres], he’s a big John Cage fan. He doesn’t like acting, so part of the deal with Berberian was that we’d do some John Cage performances with him in the Czech Republic and Slovakia. When we got back to the hotel, I dropped this bottle of sesame oil and spent hours and hours cleaning it up. It reminded me why I hate playing live. When did you have the idea of making a film about sound? One of the most memorable sequences in the film is when an actor, played by Jean-Michael van Schouwburg, is brought in to provide the voice for a “dangerously aroused goblin”. You should have been on set that day. He went on all day long… Jean-Michael van Schouwburg does a lot of free jazz stuff. He works in Brussels mainly. I met him through Josef. I met half these guys through him, really. He puts on happenings and so on all around eastern Europe. He was doing that basically, and I thought it would be great to get him. He’s the Goblin, basically. He’s an avant garde performer, but you can imagine had he lived in Italy in the Sixties he’d have made money on the side doing stuff like that. It’s funny, I used to work for a computer game but I never really played them. Most people in the office didn’t play them either. I remember going to a Steve Reich concert in the evening and half the office were there, too. They’re all basically making their money doing computer games but all into other stuff and using those methods to do different things for computer games. Are there any specific influences you had in mind for the main character, Gilderoy? There was an element of Adam Bohman. He did this recording with brother [Jonathan] called “Purely Practical”, which is them reading out DIY catalogues, and it was just fantastic. I begged them to let me put it out as a 7”. It was almost like Samuel Beckett or something, this weird inscrutable thing, completely mundane, but with this very hyponotic effect underneath it. The first draft I wrote of Berberian, Gilderoy’s dialogue was all completely technical. But Gilderoy also came out of Vernon Elliott, a lot of stuff you find of Trunk Records: Desmond Leslie, Basil Kirchin. That whole garden shed thing, which leant towards the dark side sometimes. It’s a very English thing. Like the BBC Radiophonic Workshop characters had this dark streak, alcoholism and so on. If you look at the old tape designs from the period, the actual boxes, the commercial blank tapes, they look like sigils or some kind of pagan symbol, so you can imagine if your eyesight goes a little wonky up late and night looping again and again… you might flip somehow. The weird thing about analogue, it’s a very ritualistic thing. The idea of splicing with razor blades and so on. How far did you develop your film-within-a-fim, The Equestrian Vortex? Up to a certain point. I tried to write it in scene numbers. Obviously you have gaps between the scene numbers in Berberian, but if you imagine the spaces in between you roughly get the idea of what has happened. So basically, it’s a very lame Suspiria rip off where these nouveau riche parents send their kids off to this summer riding school, run by this stern mistress, and there’s been some goings on the years before and in the library they find some clues that witches were interrogated there hundreds of years ago. The unleash a spell and the witches come back to life and create havoc. In the Broadcast soundtrack, there’s more clues to what happened, and also to Gilderoy’s Box Hill intersection. What about Gilderoy’s Box Hill film? It’s one of the DVD Extras. It’s only 5 minutes long. We tried to make it as close as possible to documentaries in the 1970s. Why Box Hill? Dorking came naturally. The more I got to go there, the more I got to read about it, the more perfect it felt. There are also these weird connections with Santini’s film, like the Dorking chicken, which is the symbol of Dorking, has five claws. That comes from Italy, bizzarely enough, and it fits into the idea of the poultry tunnel in Berberian, which also leads into Death Laid An Egg, a giallo film, that a guy who worked with Cathy Berberian called Bruno Maderna did the soundtrack to. I don’t expect anyone to know this stuff, but it’s there if you want to get into it. There’s lots of ley lines on Box Hill, too. And the whole history – like John Logie Beard with the first television experiments and so on. Can we talk about Julian House’s visuals and the Broadcast score. They both bring a tremendous amount to the film. I know Rog [Stevens], who was the former keyboardist. I knew him socially without even knowing he was in Broadcast. He did some stuff for [Strickland’s debut feature] Katalin Varga and later down the line he put me in touch with Trish and James. Julian’s stuff I’ve known about since the Stereolab times. I’ve always liked his work and later Trish [Keenan] and James [Cargill] told me I should get in touch. Broadcast, first of all, I was a fan. I saw Broadcast in Reading in 1996, and they were alright. Then they did the Book Lovers EP and they completely changed into something else. They’re an amazing band, very hypnotic and immersive. And they’d talk about Bruno Nicolai and Basil Kirchin, so they had those two sides completely mapped. I guess you could say Berberian partly came out listening to Broadcast and Stereolab. And also the attitude of just taking things and putting them on your sleeve. Julian, I think, he has all those references where he guides you in the right direction. That opening sequence was all his idea, it wasn’t in the script. It was a blessing to have them on board.